"In a world in which we are constantly confronted with equity and efficiency trade-offs, land reform is one of those rare instances of a policy which simultaneously promotes both. . . . This book puts the issue back onto the agenda, . . . providing nuanced arguments and detailed evidence." 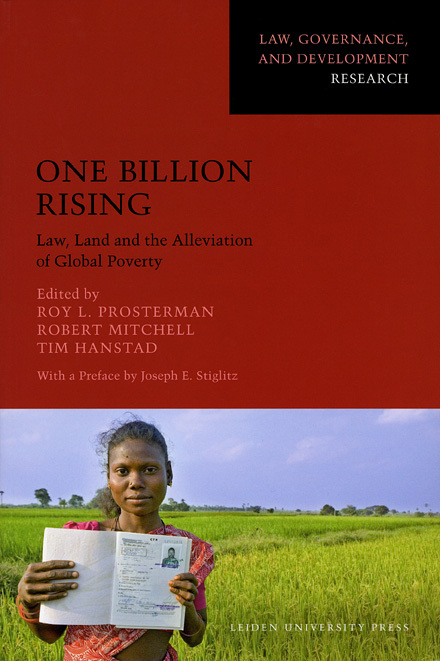 "For decades, Roy Prosterman and his colleagues at the Rural Development Institute have worked to address a root cause of global poverty—the absence of enforceable and secure rights to land. This book, based on many years of field experience, demonstrates the leveraged power of the law as a tool for social and economic progress." "Insecure land rights originate in structures that systemically divide rich from poor, powerful from powerless. Secure rights have the potential to change those structures, providing hope and status to countless numbers of the world’s poorest. I hope this book and topics it explores will reach ever widening audiences, from policy makers to concerned citizens, for years to come."